Thermostats? How boring you might be thinking. OK, yes, pretty boring. Except for this fun, stylish, and smart version from Nest. 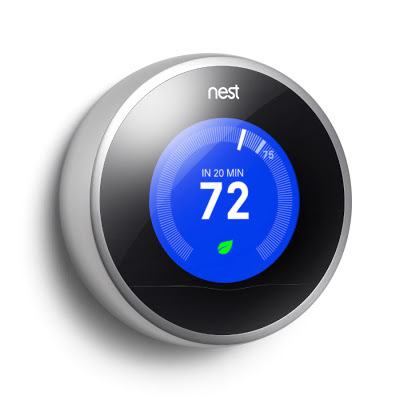 It looks cool, is easy to use, and "learns" your preferences and patterns to program itself (I admit I have still not learned how to program our thermostat). Plus you can control it from your smart phone. It can be a big help in conserving energy which is a great thing. You can learn more on the Nest website where they also have a cute video.